About | Oh, the Places We See . . . Welcome to Oh, the Places We See! We are Bert and Rusha Sams, a couple still pursuing dreams. 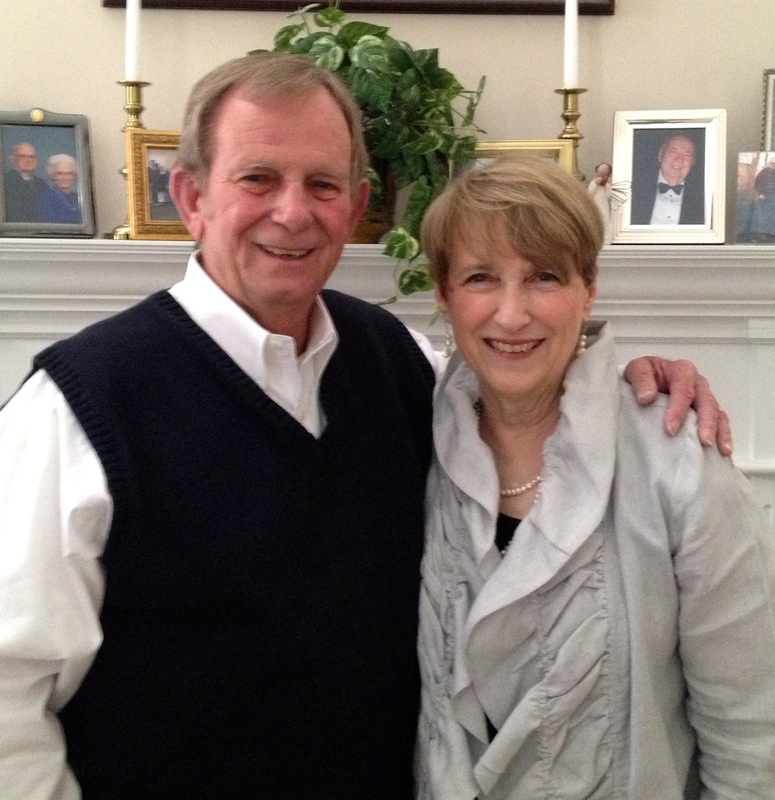 We met at the University of Tennessee almost 50 years ago, and after 47 years of marriage, we’re still friends (hard to believe, even for us!) and usually making plans for what we want to see next. One of our big dreams was this: Live in another city for a month. See the sites. Be a tourist. Enjoy the restaurants, museum exhibits, festivals. And travel with a few miles some days to get a feel for the area. Sound good? Well, it did to us, too. Flying over Lake Coeur d’Alene in Idaho. Education — training educators in Idaho, New Mexico, Florida, and Nevada — and Bert with Enterprise — driving cars all over East Tennessee. And so Boomer Travel has evolved for us, whether we stay a month or just a few days. We’ve discovered a fondness for local restaurants, local art, well, local anything — always interested in what makes a town or city unique be it the “big whoop” things or just the little nooks where people gather and enjoy their hometowns. 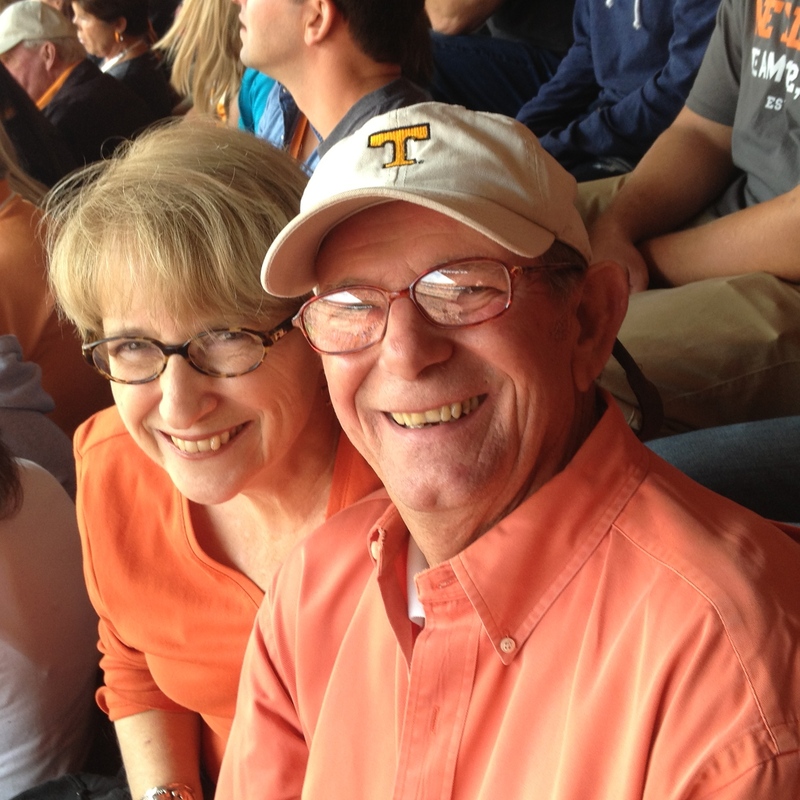 Meanwhile back in Knoxville, our interests include cheering on the UT Vols (Go, Big Orange! ), reading current novels on our e-readers, watching movies in theaters, volunteering with Habitat for Humanity locally and internationally, and spending time with our family, especially our little granddaughter through whose eyes we now view the world all over again! You webpage is great & very nicely done. Hope to see more updates on your travels. Have a blessed day. Thank you so much. Glad you stopped by. Here’s to a productive, exciting new year for you and yours. We are open to doing guest post exchange as well. Are there any specific topics that you’d love to be covered? Looking forward to your answer! We are heading back to Knoxville at the end of the month to celebrate our 49th anniversary with our friends there who got married the day after we did. We figure to do it together this year as other plans are likely for the 50th. Sorry to be so late in responding. Happy Anniversary! It’s fun to celebrate any anniversary or special occasion, especially if you can do it with friends! All the best for many more years together. Traveling is so much fun! Good for you to get out and about. It’s amazing what you can find in your own backyard. We’re hoping to travel to South America in the Spring. Scouting out possible retirement locations, as these Wisconsin winters are getting old! Or should I say cold! LOL! Traveling is definitely great fun — and fits into my lifelong learning desire. (At least, as long as my brain keeps functioning!) Wisconsin is one of a few states we haven’t visited yet, so I’m trying to get up there while you’re trying to see South America (a continent we haven’t seen.) Best wishes for visiting warmer climes and seeing sights you can’t see in Wisconsin. Best wishes for a super 2018! Thanks so much for taking the time to respond. It’s great to have people reading and following. Best wishes for a great fall season. Thanks a lot. I’ll be honoured if you take a look at my creative write-ups on StarWords India. http://www.starwordsindia.com. Thanks for liking my recent posts on the Italian Lakes, and nice to have you aboard. I’ve signed up to follow your blog so hope to join you in your travels. Maybe you’ll get to England one day to see what we’ve got to offer, but I must admit I spend nearly all my travel time in places like Italy, Spain and far away in East Asia. Keep enjoying life and travelling, it keeps you young. I should know, I’ve been doing it now for nigh on 65 years. We’ve got you beat in the age category, but we’re still enjoying life, too. We find that toting our suitcases up several flights of stairs is more tedious, but, other than that, we still traveling pretty much the way we used to. All the best for a beautiful fall! I found your page through a Google search for UT tailgating. Where did the large inflatable Smokey mascot come from? I’ve never seen one like it. Thanks, Matthew. So glad you found our blog! We travel some, write some, and never do enough of either, I suppose! Wish I could tell you about the inflatable Smoky, but I can’t. You may want to check Home Depot or Lowe’s in Knoxville around football time when so much tailgating stuff is on the market! Best wishes for always safe travels, and thanks for following us! Glad I found you guys! I was perusing the blogosphere looking for some good travel blogs, and as luck would have it I stumbled upon two world travelers right here in Tennessee! Funny how that works, huh. I moved to Nashville three years ago after living in Japan as an English teacher, and I can tell you that it still feels like a foreign land to me sometimes. Thanks for letting me know that you’ve stumbled onto my blog, and you like it! I love when people from the area “find each other” and then look forward to learning more. If you’re near Knoxville right now, come see the dogwoods. It’s our prettiest time of the year! I do remember how pretty the dogwoods are! Wish I could see them now …. it is currently snowing where I am! Thanks so much for visiting our blog. We, too, loved Idaho — all that we saw!! Hope you can make it back. 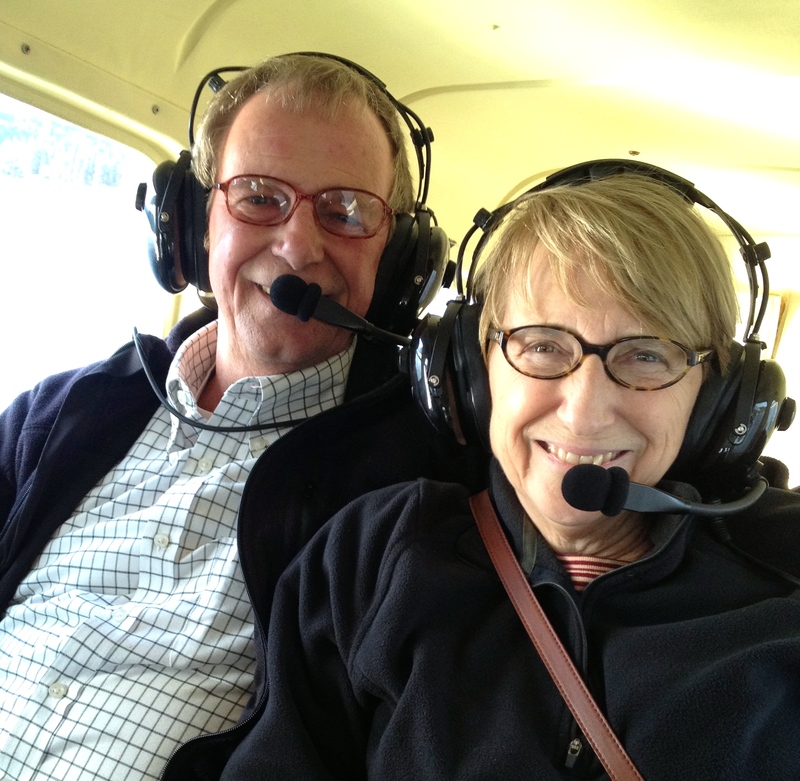 We’d love a return trip, especially to Idaho City, the Palouse, and McCall. Great blog and look forward to reading more posts! Thanks so much! It’s great meeting people from all over the world with our blog! Indeed it is and it’s amazing where in the world the blogs are seen. Great to meet you both! It sounds like a super adventure – even if you are staying near your home town, adventure is where it takes you in your imagination not necessarily where it takes you on the map! We currently live in Aiken, SC, and if you haven’t visited here yet, it’s a wonderful place to visit. Especially if you’re interested in horses or beautiful scenery. Oh, and we have Steeplechase every year as well as neighbor’s to Augusta Georgia, home of the Master’s golf. We are a family of adventurers. It’s a great way to live! For some reason, I’m just now seeing your lovely comment. Thanks for taking a look at our blog. We would love to see Aiken, SC. We’re headed to Hilton Head next week, but Aiken isn’t nearby, or at least I don’t think it is. May have to check. Thanks for stopping by, and I’ll check out both of your blogs, too. Thanks for taking a look at our blog. Would love to see your Blogger Tips Group, but the link isn’t working properly. Best wishes to you for a great year of posting. Hi- Love your travel spirit. We picked up and moved to Sydney for three months a few years ago and it was one of our best adventures. Great to be able to settle into a place and not have to run around like a tourist. You have a terrific blog. Thanks so much. I wish I could write more often because I enjoy it so. But life has a way of getting into everything! Appreciate your comments. Here’s to a great 2017 for you! Just found your blog, love your recent posts! Thanks so much. We have fun with our blog — but even more fun traveling! You have such a lovely blog and I’m looking forward to follow your adventures. Yvette, thanks so much for following! And thanks for posting such lovely photos on your site. Best wishes for happy holidays and a wonderful 2017! Thank you! Happy holidays and best wishes for 2017 too! You have a lovely blog, Bert and Rusha. The posts are very inspiring. Have a wonderful day. Thanks so much for your lovely comment. We enjoy many things together but mostly family and travel. Hope you’ll join us when you can to see where we go next. Best wishes in all you do! It’s nice to hear of someone who has been married for such a long time and enjoyed it. It must be exciting to discover more things in your retirement. Happy travels. We are discovering some good and not-so-good things about retirement. First, it’s hard to slow down and not be busy at work each day. We miss the people of both of our jobs. But second, we are finding a rhythm to our days and ways to add more travel. Life is good! What an adventurous life you have! Seems like great fun. I love your blog. I tried to follow, but for some reason, it didn’t take. I’ll try again. Thank you for following me! Most of our life is fairly ordinary — I just write about the travel excitement. But we’re ordinary people making each day a little more extraordinary by doing what we love. Thanks for your comments. Thanks so much, and welcome aboard. We write about what we see, and sometimes I think that’s never going to be enough. So many places. So little time! Similar story to my wife and I. We love to travel and I am now blogging about it. In the last year we traveled to Australia, New Zealand, the Fiji Islands, New Caledonia (all on a 25 day cruise) and to Spain and Gibraltar on a 7 day cruise. You can check out the trips under our International Travel category. Hope you get a chance to visit. BTW, we stayed in Knoxville on our one state per year vacation three years ago and I have quite a few pictures. We also visited several other cities in the state. We loved Tennessee. So glad to hear from you. You’ve been to so many places we would love to see, and I’ll be checking out your pictures when we return from a trip we’re taking to Prague, Budapest, and Bucharest this coming week. So glad you loved Tennessee. We have to say, it’s a great place to live! Let me know when you get back. I’ll do a Knoxville post. Very interesting blog 🙂 Enjoyed reading some of your posts, love the whole concept! Thanks so much. We’re just two retirees hoping to see as much as we can in our last years. Hope you enjoy seeing it with us! How exciting! My husband and I want to do something similar. I am glad to have stumbled across your blog and am looking forward to spending some time reading and enjoying your posts! Robbye, thanks for this kind comment. We do have fun traveling and sharing our pictures, but we also enjoy reading other blogs, too. Best wishes for exploring the world together — there really are a lot of things to see and do! I hope and pray we’ll son be able to travel! That should say soon, not son!! Thanks so much for checking out our blog and leaving a message! Safe travels! Sorry to be so late in responding to your pleasant message. I must have missed the email alerting me. Bert and I have had 48 wonderful years together but not without ups and downs. Through it all, however, we’ve stayed true to each other and together in our goals, plans, and travels. I do the blogging, but I give him so much credit because he drives me everywhere I want to go with camera in hand, stopping frequently so I can catch one more shot of whatever strikes my fancy. We love seeing the world together. Best wishes to you in all you do, and may you travel happy wherever you go. We’re glad you found our blog also. We mostly take short trips, but we get off the interstate any chance we can. I’m a lover of fields, old barns, and mom-and-pop restaurants. And a believer that anywhere you go, there’s something terrific to see. Best wishes for a good spring. Keep reading, too! Love your story, love your spirit. Yes, I may have a place to rent for a month. Keep me in mind if you ever want to visit the Pacific Northwest. I am in Portland. Thanks so much! We love Portland — just visited last fall. Tried to check off all the tourist sites and then some. And then headed to the coast. What a gorgeous state you live in!!! I’m really enjoying your blog, especially your posts about your recent visit to New York City. (I’m an NYC local and blog about things to do in the city, so I always love to read about visitors’ experiences.) I’m so glad you enjoyed your visit, and I look forward to reading more about your travels in the future. I just posted on your blog a thank-you for following ours. And I included a link to our series on NYC. But it looks as if you don’t need that: you’ve explored all of our posts on that great city already! So happy we got to go in December and hope we can go again. Looking forward to reading more from your explorations! Thanks so much for stopping by our blog. Hope you’ll return for more! wow, you guys look like you’ve had some great experiences so far! Congrats on being married for 47 years, that’s awesome!! You are so very thoughtful to nominate us for the Liebster award. I had to look back into my archives, but we have already received this award. We may be like many bloggers who don’t like to receive awards since comments and follows from people such as you make blogging worthwhile enough. Best wishes for continued success. And I hope to read more from you. Pingback: Liebster Award! | Vacation With Marie! You are quite welcome. We all welcome responses and “lookers.” Best wishes for more great posts to come. Welcome back anytime! We kinda come and go on this blog. I don’t write when I travel — it’s too much trouble and spoils the fun. But when I’m home I sometimes can’t remember the details!! So, we totally understand about being “kicked” off — just kick back and enjoy life this summer. We enjoy your blog! Thanks for taking the time to stop by and comment! Love your concept of life and blogging and congrats to years of life with your best friend. Like Terri and James at Gallivance you guys are inspirational!! Appreciate the kind comments. Looking forward to connecting whenever we can. Thank you for your kind words on Anntbell’s blog regarding the eagle on the tombstone. And what a great blog you have. Count me in as a follower. Welcome aboard! So glad we’ve found each other. Wow! What an exciting retirement! I retire at the end of THIS week! Your lifestyle is wonderful! Sounds like the kind of thing I’d enjoy too. Wonder where you’re going next? Dawn, we have great days interspersed among the ordinary days. All are good. We love to rest and plan our next mini-trips. Often, we find great things to see and do right here in Knoxville, so take a look at where you live first. So much to see. So little time! Hello Rusha! I’ve decided to read and follow 10 interesting and new blogs a day every day of May 2015, and yours is today’s #10! Feel free to come visit me when you can at http://www.thatssojacob.wordpress.com, and follow if you like what you read. Happy blogging! So flattered that you would follow our blog as part of your getting-to-know-bloggers initiative! We enjoy blogging, but more importantly we enjoy traveling and sharing what we see with others. Best wishes to you for continued success!! Thanks for the compliment, but we’re only lovely sometimes — weddings, funerals, and performances by the granddaughter at the local school. Most of the time, we’re in jeans and t-shirts poking around small towns or taking pics of tourist sites. It’s a good life, though! Appreciate your stopping by. Hi! I was wondering if you would join me on June 14th, my next Local Shopping Event. I’m hoping you might write about it. 🙂 Thank you so much! I’ll do my best to do both — stop by and write about the event. Tell me again what time and where. You’re on a roll, and we’re happy to wish you the best in your new venture! A marvellous way to spend (semi) retirement. There’s always something waiting to be discovered in our own backyard, but during our working lives, we are so time-poor. Love your word “time-poor.” That’s how I felt when raising my boys and working full-time. Now, some days are long. We try to fill them with travel when we can. Retirement is what you make of it, for sure! Thanks for taking a look at our About page. We’ve been married for a long time, so traveling together seems quite natural to us. Would love to see the Sierra Foothills, although I’m not sure we ever will. Keep posting pics of your area — we love Internet travel, too! Thanks so much for the compliment and for continuing to follow us. We’ve thought about moving to a new domain but haven’t gotten up our courage, I guess. Will definitely check out your new location. Best wishes in all you do. And thanks again for following us! It’s our pleasure to follow you blog — your travels and blog posts are interesting. Looking forward to learning more. Being married to the same person for a long time is a great friendship journey. We’ve changed in our relationships many times as we grow older, but still loving each other and the lives we’re living. Best wishes to you for more great years together! So happy to connect with another traveler & blogger. It’s so inspiring! It’s never too late to dream a new dream. It’s great to connect with you as well. Love your three words — Live, Dream, Travel. It’s this time of year that I really dream of where I would like to go. Any plans for you? Thanks so much for clarifying! We do have powdered sugar, so that’s easy. Thanks again for this yummy-sounding recipe. I’ll try it this week! Merry Christmas. Thanks so much for the kind comments. So glad we found your site also. You make travel look fun but I know sometimes it could be challenging with a child. We have a granddaughter and we know that we do things a little differently when we have her along. Best wishes for continued success! Rusha, your story is so insipirational! i gotta show this to my hubby! 🙂 Wish we could travel like how you do! Thanks for the comment. Don’t want you to think that we go, go, go all the time. We travel mostly on a budget, and many times the travel is work-related. It’s nice having my company pay for my flights so I can see more of the USA! Thanks for this comment. We do love to travel as time and money permit. But I also read about others’ experiences so we can travel vicariously! Hi Rusha! very lovely blog here, I found it by accident but I’m glad I did. 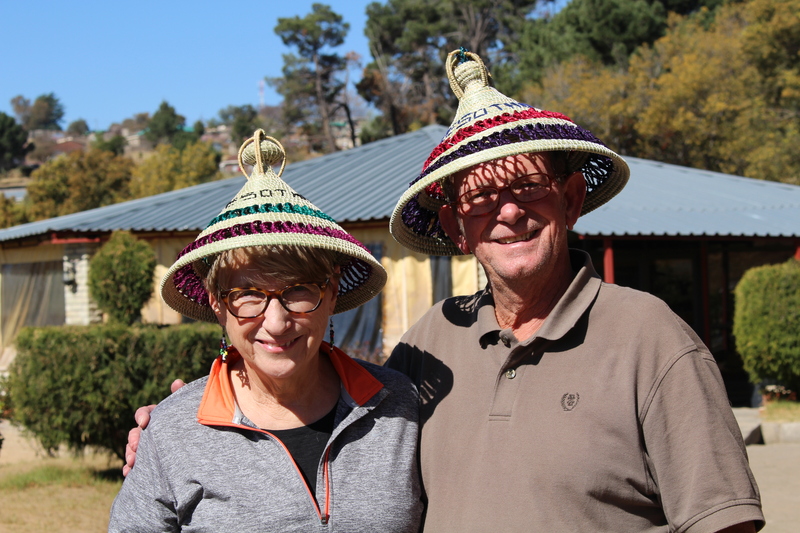 I’m especially touched by your visit to Lesotho and giving of your time to make one family’s dream come true. That’s a very inspiring act of kindness. All the best on your future travels. What a pleasure to meet you, too! Thanks for following Oh, the Places We See. Can’t wait to delve into your blog and see what you’re all about. I’ve enjoyed meeting people through blogging, and I’m sure I’ll get a lot of ideas from you, too. Best wishes for much success! Thank you for liking my post about Stia because that led me to your blog. So happy to have found you! Thanks for your comment. Each person who reads our blog is special! So you like mom-and-pop restaurants and dark chocolate. What else is there besides those two? Great blog – I am following to keep up with both of you. Enjoying your pictures of China! Thanks so much, Dennis! I don’t know why the report of your comment has just reached me, but I appreciate it immensely. You are so right Mom-and-Pop restaurants and dark chocolate –doesn’t get any better than that. Hope we post more pics of China in the future for you. Thanks again for commenting. Not to worry about the timing – sounds like you are extremely busy doing fun things! Better yet for me, I want to go back to China with my current camera!!! You know, I’m thinking that people who love to travel have never seen all they want to see. We have insatiable appetites! But we’re trying nonetheless. Looking forward to reading more from you. Feeling a little giddy at finding you here. Your piece on Dahmen Barn was the bait. Am doing research on restoring our historic hop processing barn for similar purposes. Thank you for this great piece. Seeing the rest of your work is, as you say, the icing on the cake. Thanks so much for following Oh, the Places We See. We loved Dahmen Barn. In fact, we loved all barns of The Palouse. Please keep in touch. So interested in the work you are doing. Lovely! I will be honored to follow your stories 🙂 best, Allane. Thanks for taking a look at our blog. For some reason, I’m just now seeing this post. But so glad you are following us. What fun travel can be, right? Thanks for following. Be seeing here and there! Hey there Rusha, just tuned in and followed your blog. If you like, come over to http://www.thatssojacob.wordpress.com to return the favor and play with me 🙂 thanks! If you’ve followed Tennessee sports lately, you know we need as many cheerleaders as possible! Thanks for reading and commenting. And welcome aboard! Oh dang it, I too thought you meant Texas! 🙂 Great blog though, I love the idea of living in a place for one month and then moving! We love that idea, too. But not many people just want to let us stay in their place for free. So we’re content with some short jaunts filled with adventure. It’s working so far. (But just in case you’re traveling around the world or something and want us to housesit, we might entertain the notion!!) Have a great week ahead! So Rusha, you decided to join the small clan of Uncle Spike followers, sometimes known as The Spikey’s…. Looking forward to being a Spikey! I have nominated you for the Dragon’s Loyalty Award. I hope you will accept it and pass it along to more deserving blogs. Please visit my post for the details. Thank you so much for the nomination! I’m considering not accepting any awards, but give me a few days, and I may change my mind. I appreciate your consideration more than you’ll ever know, and that’s reward enough. Appreciate you! I know how you feel, it is a ton of work, and I am not blogging for awards, but the teacher in my loves to encourage others so I decided not to post the images, but to accept and nominate. Please do as you please , but know I value your blog and your friendship! Thanks so much. Hope you have wonderful holidays! Hi Rusha Sams, Thank you for following WoollyMuses blog. Just now seeing your comment. You are quite welcome! I’m loving your blog, especially now that I can relate to so many of your experiences in Africa. Thanks so much for reading and posting. I look forward to learning more about your travels and your insight. Rusha, I know what you mean how hard it is to travel and be away from the grandchildren. When we want to take a trip, it means a trip not seeing him…so hard. But don’t you find yourself looking at other little children while you are away and comparing your own grandchild to them? And another thing, my suitcase always has a present to bring back home!! Thanks for reading! You hope and dreams inspire me my friend. Life is too short not to pursue the things that brings a smile in our hearts. I hope to live in different places too. So much to learn and discover with so little time. Have a blessed day. We’re not making much headway living a month away but it’s because we hate leaving our granddaughter! So short trips for now!!! Thanks for visiting Piggletino and sharing your photos here! Thanks for taking time to read and comment! Glad you liked what you read! We love the whole international program. Quality people with a great mission. Thanks for commenting. Hello Rusha, Thank you for following my blog! I’ve read your about page and I am anxious now to read more! Sounds like you and your husband are living a grand life indeed! hugs to you! It will be mutual enjoyment because I’m looking forward to reading your blog, too! Thanks for following! Lately, we’ve taken to pastries, and oh, my we now need to exercise more! Life has cycles, right? Thanks for reading my blog! It was a pleasure to meet you both. You have a great attitude about life and a wonderful sense of humor. Best wishes for continued success. To follow my blog, just click on the Follow This Blog link. It’s great to hear from you, Dawn. I’m glad Google directed you to my blog! Yes, you may publish the pictures from the Lavender Festival, but please provide the link to my blog on anything you use: http://ohtheplaceswesee.com. I just might get someone else to click and read! Best wishes to you in all endeavors! It was a pleasure meeting you at the Mayfield dairy and I’m going to try some of the places mentioned in your blog, which is great by the way. Thanks so much for reading my blog! I’ll get to the one on Mayfield’s soon! It’s always a pleasure to meet people who are enjoying each and every experience, and you seem like one of those people!